Photos Of Dylann Roof, Racist Manifesto Surface On Website : The Two-Way The photos on the site, titled "The Last Rhodesian," appear to be authentic and an unsigned text refers to the Trayvon Martin case and details the author's attitudes toward various ethnic groups. A photo from the website "The Last Rhodesian" appears to show the Charleston church shooting suspect. The website contains a lengthy racist manifesto. 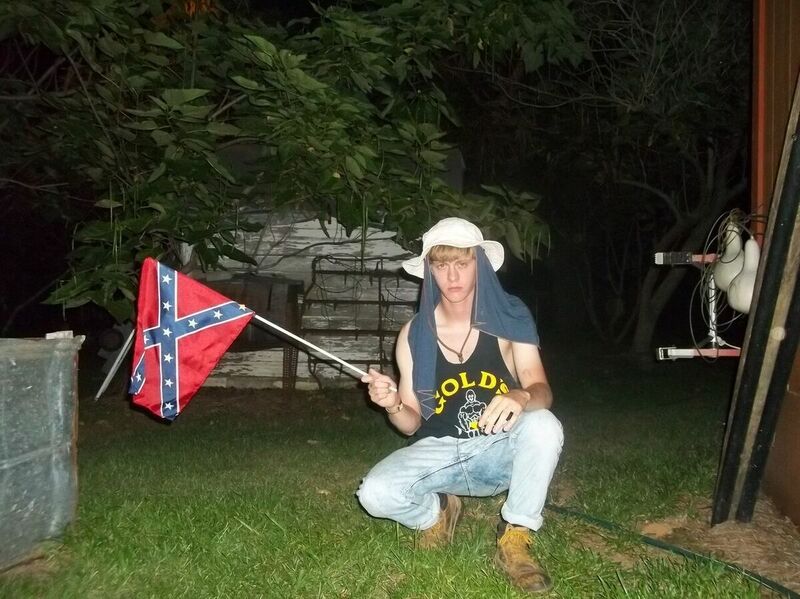 Dylann Roof, the Charleston church shooting suspect, appears to have set up a website that contains photos of himself and a manifesto-like diatribe against non-whites. The author of the rant writes of being motivated by the Trayvon Martin case and concludes that there is "no choice" but to "take it to the real world." An image from the website "The Last Rhodesian." Several photos — some apparently showing Roof posing with weapons and a Confederate battle flag — are on the site, titled "The Last Rhodesian." A few feature the number 1488, which has numerological significance for the white supremacist movement. The writings are unsigned. 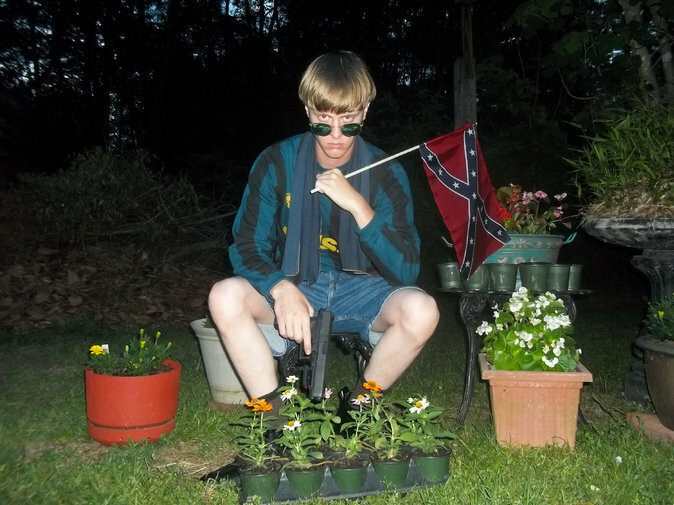 But the domain was registered on February 9, 2015, to Dylann Roof at his last known address. A link on the homepage of the site goes to a long, plain-text rant. In it, the author claims "I was not raised in a racist home or environment." "The event that truly awakened me was the Trayvon Martin case," the text reads. "I kept hearing and seeing his name, and eventually I decided to look him up. I read the Wikipedia article and right away I was unable to understand what the big deal was. It was obvious that Zimmerman was in the right." The manifesto then details the writer's attitudes toward various racial and minority groups, pronouncing blacks "the biggest problem for Americans" and blaming Jews for "agitation of the black race." "Segregation was not a bad thing. It was a defensive measure. Segregation did not exist to hold back negroes. It existed to protect us from them," the writer says. For a detailed account of how the website was first uncovered, The Daily Beast has a story here. Google's cached version of the manifesto is here.